There are a variety of ways to avoid being saddled with a criminal record. One, of course, is to be acquitted at trial, that is, found not guilty. There are other options, however, that may be available if you are prepared to accept some minor consequences shy of a criminal record. These would include a diversion, a peace bond, or a discharge. The availability of these options varies depending on how your lawyer handles the case, the nature of the charge, the seriousness of the facts and the jurisdiction in which you are charged. The Crown bears the burden of proof in any given criminal case. Thus, in order to be acquitted at trial, you don’t technically need to do anything at all. It is the Crown that must prove the case beyond a reasonable doubt. That said, the Crown will rarely approve charges or proceed to trial if they don’t at least feel the evidence is capable of proving the case. Thus, if the case is proceeding to trial, you will rarely succeed in winning an acquittal without a clear, defined defence that anticipates the issues and evidence. That’s where I come in. A diversion is an out of court process by which your case gets referred to a probation officer for a pre-trial inquiry. Depending on the facts, sometimes the Crown Prosecutors will refer the case of their own volition; other times they have to be convinced. 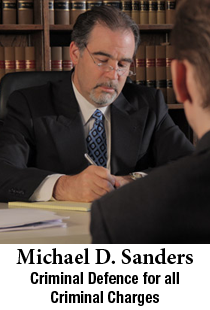 Once a case is referred for a pre-trial inquiry, an appointment is made and the allegations are discussed. If your response to those allegations, and other questions from the Probation Officer are appropriate, the Probation Officer should return the file to the Crown Prosecutors with a positive recommendation. Whether the recommendation is positive or negative, the final decision rests with the referring Crown Prosecutor. Depending on your instructions, diversion is an avenue that we will frequently explore on your behalf. After a referral for a pre-trial inquiry is secured, we will obtain as many details of the allegations as possible in advance in order that we may review them with you and prepare you for the interview. We then attend with you to the interview and ensure that it goes smoothly. We will then monitor the file as it passes from the Probation Officer to the Crown Prosecutor and intervene if necessary to ensure that the recommendation is positive and the diversion is approved. We will then assist you in meeting the requirements of your diversion agreement. In the event this process occurs after a charge is laid, we will ensure the charge is stayed (dropped) and provide formal confirmation of this to you, in court-documented form if requested. If a diversion is unavailable or unapproved, you must then go to court. If you are convicted either after trial or upon entering a plea of guilty, the court has the power to discharge you absolutely or on conditions. If the court is persuaded that it is in your interest and not contrary to the public interest to grant you a discharge, you will have no criminal record despite your being found guilty. There are many cases dealing with the legal issue of when and in what circumstances a discharge should be granted. Although receiving a discharge does not result in your having a criminal record, the fact that you received one does remain on the Canadian Police Information Centre system (the source used by Crown, Police, Customs and U.S. and Canadian Immigration authorities) for one to three years, depending on the nature of the discharge. After that, all references are supposed to be deleted by virtue of the Criminal Records Act. “Peace Bonds” or Recognizances pursuant to Section 810 of the Criminal Code can sometimes be negotiated as a means of avoiding a criminal record in cases of assault. The Crown Prosecutor’s consent is required. Even if the Crown Prosecutor consents, the court, before it will order one, must be satisfied, either by evidence or by your admission that the complainant has reasonable grounds to fear and does fear for his or her safety. Recognizances work very much like bail and will contain similar terms. Additional terms, for example requiring that you take anger management counseling can also form part of this order. Recognizances of this nature are usually in force for a period of one year. Assuming you comply with its terms, the matter comes to an end and you have no criminal record resulting from it. If you do not comply with some or all of the terms, you can be charged with the separate offence of Breach of Recognizance.